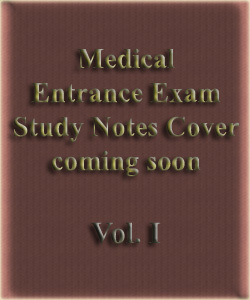 MET is referred as Punjab Medical Entrance Test this exam is conducted by the same as Baba Farid University of Health Science, Faridkot. Through this exam, candidates can get admission to MBBS and BDS courses in most of the medical and dental colleges of Punjab. This entrance exam will be held for all categories including NRI seats. Conducted by Baba Farid University of Health Sciences, PMET (Punjab Medical Entrance Test) is a top known entrance examination of India by qualifying which candidates can get admission to several undergraduate medical courses such as MBBS, BAMS, BDS and BHMS. 1. Candidates must have residency of Punjab state. 2. Age of candidates should not be less than 17 years. 3. Candidates must have completed class 12th or equivalent exam with subjects i.e. Physics, Biology and Chemistry. 4. Candidates must have finished their senior secondary education from a school in Punjab. Furnished below is the exam patter for PMET exam 2017; please take a look. • There will be 200 objective type questions from Physics, Chemistry and Biology will be asked in the exam. • The total exam duration will be for 150 minutes. • Questions pattern will be completed based on class 11th and class 12th. To apply for PMET 2019 Entrance Exam candidates have to look at full eligibility criteria. Take a look at PMET 2019 eligibility criteria whether they are eligible to apply or not. Candidates should have to complete the age of 17 years on or before 31st of December of the year of admission. The candidates must have passed the 12th examination with physics, chemistry and biology/biotechnology and English individual is optional with 50% marks in aggregate (45% for locomotion disable and 40% for SC/BC). The candidates should be bonafide of Punjab state. The candidates should have passed the 12th examination from the school located in Punjab or Chandigarh. Wards of defence/military/paramilitary personal posted in Punjab are also eligible. Defence/military/paramilitary personnel posted in Punjab and then posted to another state while their children took the 12th study from Punjab are also eligible. Children of state government person or employee of boards/corporations/statutory bodies, established by an act of the state of Punjab, posted outside Punjab before 1st January of the year of admission and took the 12th from outside, are also eligible. Get familiarize with PMET 2019 exam pattern and syllabus this will help in preparing for study. PMET 2019 exam will be conducted in online mode. Question asked will be multiple choice questions. Candidates have to complete paper within 3 hours; no extra time will be given to any candidates. Candidates are informed that PMET exam will not be conducted this year. The PMET2019 Entrance Exam will be held on May 2019 (tentative) through online process. The question paper will consist of 200 multiple choice questions. Candidates have a choice to write the exam in English or Hindi mode. 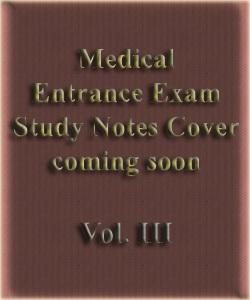 The duration of the entrance exam will be 3 hours. 4 marks will be awarded for correct answers.